Single, double and triple glazing. What's the difference? Single, double and triple glazing. What’s the difference? Experts estimate that over 10% of the heat in your home is lost through inefficient glazing. Knowing the difference between the three main types: single, double and triple glazing, can potentially save you a lot of money in the long term. Here’s a quick guide to the differences between the three. Before we go into detail about the differences between single, double and triple glazing, it’s good to get an idea of how thermal performance is measured. U values measure the rate at which heat escapes through a window. They are typically measured in Watts per square metre, expressed as W/m2. When it comes to the meaning of the values, the closer a U value is to zero, the better the thermal insulation provided by the window. Likewise, the further away from zero a U value is, the worse it’s thermal performance will be. The most basic form of glazing, single glazing consists of one pane of glass. It’s used extensively in older properties that haven’t benefited from renovation in several years. 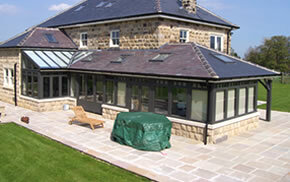 Single glazing is the cheapest form of glazing to install in a home. Single glazing has an average U value of around 5.0W/m2. Current building regulations insist that you should have a window with a U value no less than 1.6W/m2. This means that the majority of single glazing currently installed in properties across the country would fall foul of current legislation on thermal performance. 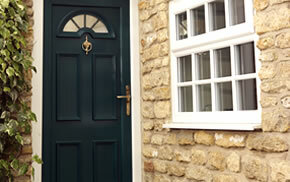 Double glazing is one of the most popular forms of glazing used in the UK. It’s comprised of two panes separated by a spacer bar. The gap between these panes traps heat and slows its escape from a building. Supplied as standard in modern properties, double glazing has good thermal and acoustic insulation properties, with an average U value of around 1.6W/m2. Double glazing provides excellent thermal and acoustic insulation, and can keep a home warmer for longer. 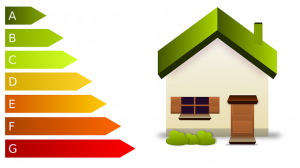 This can potentially reduce the cost of your heating bills and save you a lot of money in the long term. For example, the Energy Saving Trust estimates that you can save upwards of £160 a year on the cost of your heating bills by upgrading to double glazing from single glazing. Double glazing can be difficult to install in conservation areas and some listed properties unless special steps are taken to help it blend in with its surroundings. One of the most thermally efficient types of glazing around, triple glazing is very similar to double glazing but provides exceptional levels of thermal and acoustic insulation. Using the same concept as double glazing, triple glazing uses the space between three panes of glazing to trap heat and slow it’s escape from a building. The average U value of triple glazing is around 0.8W/m2, making it a great insulator. Triple glazing can provide some of the highest levels of thermal and acoustic insulation possible in a home. It can massively reduce the cost of your heating bills if installed correctly. Triple glazing can cost more than double glazing. 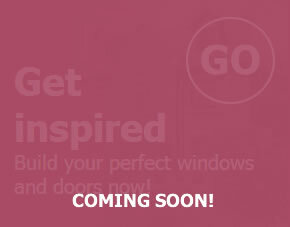 Here at Inspire, we’re energy efficient glazing specialists. We supply all of our windows with high quality double glazing as standard, so that you can achieve the highest levels of thermal performance. 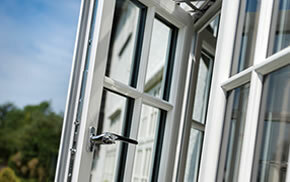 We even offer the option of triple glazing for enhanced insulation. To find out more about our products or services, please give us a call on 01977 649 641 or send us an email. We hope to hear from you soon.